"The Most Popular Wedding Venue in Alabama!" ​ and Pricing Click Here! We know you are busy and thank you for taking the time to look around! ​If you don't have the time, or patience, to make dozens of appointments, interview a dozen or so vendors, and try to balance wedding planning with your already busy life, we have solutions for you. We take care of booking, scheduling and managing all of the vendors* that are needed to create a perfect romantic Wedding Day! Pay through Paypal and secure your wedding date here at the Sterling Castle. Fast, safe and convenient! Check out Galleries from other Weddings Here at the Sterling Castle Wedding Venue. For even more Photos, Videos and 'Stuff' pop over to our Facebook Page and see what is new! Deals, specials, and special events for the castle and other great wedding Vendors in the Birmingham Area. The Castle's White Garden can be used for wedding ceremonies or outside receptions. Several romantic areas to hold your ceremony to create the look and feel you are looking for! Inside and Outside options to account for customization and weather plans. The Venue's Lakeside Pergola, The Drawbridge, The White Garden, or the Carriage House Doors outside and the fireplace inside the Castle or the Fireplace in the Great Hall are common options. Our 4000 Square Foot Reception Hall is Air Conditioned and Heated! Alabama's Highest Rated Wedding Venue! Couples Choice Award Winner for 6 Consecutive Years! 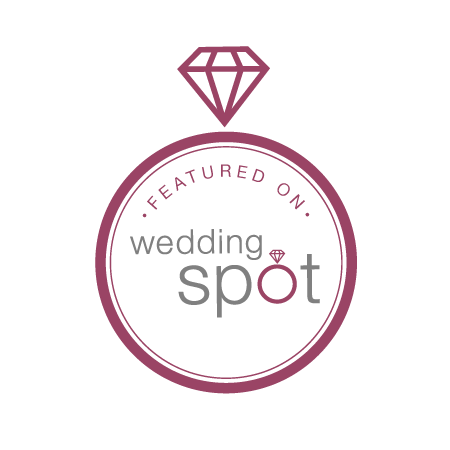 5 star rated Venue on The Knot and Weddingwire by Real Couples! Consistently voted the Best Wedding Venue in Alabama! Every bit of my Wedding Day was absolute perfection!!! Every detail of decoration, floral design, layout, catering etc. was breathe taking! Let me tell you Pinterest ain't got nothing on Misty! All our guests are still raving over how gorgeous our wedding was! My husband and I opted for the "sterling package" for our wedding in March and it was the best decision we made. You won’t be able to duplicate this anywhere else especially for the price. Plus, I never had to feel an ounce of stress because they handle everything, that alone is priceless! My wedding day was truly a dream come true, thanks to the amazing team at The Sterling Castle! Misty, Victor, Brennan, and Kelsi all made it such a wonderful and personal experience for us. They were professional and passionate about making our wedding perfect. They took care of every detail, comfortably navigating my fiancé and I through the process so we were completely at ease to enjoy our day to the fullest! I cannot emphasize how highly I recommend this amazing family and incredibly beautiful venue!! ​We could not have asked for a better venue for our wedding. All the details were taken care of and the only thing I had to worry about was not tripping down the aisle! Misty puts so much thought into everything she does. The flower arrangement she made were beautiful as well as all the decorations. Victor has so much talent too and made us a gorgeous cross that he carved himself. You will not find another venue that will put so much personalization into your special day. It was a magical experience that we will never forget! I could not have asked for a better place to get married and I would recommend The Sterling Castle to anyone. The Beginning of a Happily Ever After! I cannot even express how amazing everything that Misty, Victor, Kelsi, Brennan, and everyone at the Sterling Castle did for us... They made every dream we've had for our wedding come true and far exceeded every expectation. They made everything seamless and absolutely beautiful for us.... We are happy to consider them part of our family, and we will always remember our wedding day because of the hard work and dedication they put forth to make sure we had an absolute fairy tale wedding. Thank you for being LGBTQ Friendly and accepting us into your family and making everything about our wedding day absolutely beautiful and perfect. I can’t speak highly enough about the Sterling Castle and everyone there. It was an absolute dream and if I had to do it all again, there’s not one thing I’d want to happen differently! It was truly a fairytale! ​Our wedding day was perfect! Misty and Victor went over and beyond to make our big day a dream come true. Everything ran so smoothly and was breathtaking. If you are looking for a venue with a beautiful atmosphere, professional staff, and worry-free experience, call Misty and Victor. You are in good hands!!! ​Sterling Castle will make your dreams come true. The Sterling Castle is the perfect place and Misty and Victor are the perfect hosts. They are flexible, attentive, gracious and will make sure your wedding is stress free. The wedding cake was awesome. Everything was beautiful. We even had fireworks. ​Wonderful experience!Our wedding was absolutely amazing. Misty, Victor, Kelsi, Brennan and their host of of hand selected vendors and family made our memorable day beautiful and stress free. These are kind, honest people who truly enjoy making dreams come true. Throughout the entire process we felt like we were so much more than just customers. Misty and Victor expertly captured the look and feel we were going for and stunned us all with the decor and preparations, they really turned our ideas into reality... Looking back we can't imagine going anywhere else! My experience at the castle was AMAZING! Misty, Victor and their son Brennan treated me like family. Anything that I requested for my big day was made available to me. They will always have a special place in my heart!! Thank you so much for helping make my wedding day EXTRAORDINARY!! I recommend if your getting married and you want it to be held at a beautiful CASTLE ....THE STERLING CASTLE is it!! From the moment we picked this venue to the day of our wedding, everything was perfect! She created all my ideas and made them reality! Highly recommend this place for a perfect fairytale wedding! Everything was so smooth and perfectly run! Click Here To Read More Of What Our Couples Are Sharing About Our Venue!! ​Consistently voted the Best Wedding Venue in Alabama! All types of cultural weddings and events welcome here! Christian Weddings and Receptions, Geek Wedding and Nerd Wedding Specialists! (We are, after all, the Nerdy folks that grew up and built a fairytale!) We host Pagan Handfastings and Weddings, Wiccan Handfastings and Weddings. We can handle any kind of Off Beat or Oddball wedding you can think of, as well as traditional weddings. It is YOUR wedding done your way. We do not discriminate against any faith, race, culture, religion, political or sexual preference. The Sterling Castle is a place built with love to celebrate those that are lucky enough to find true love. Secular non spiritual or religious, It is your wedding day and it will be done your way!